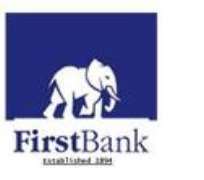 First Bank of Nigeria Limited, Nigeria's most valuable banking brand and foremost financial institution, has announced the appointment of Mrs. Olusola Adetoun Oworu (FCA) to its Board of Directors as an Independent Non-Executive Director, and the retirement of Alhaji Mahey Rafindadi Rasheed, OFR and Mr. Adetokunbo Abiru from the Board. Mrs Oworu's appointment, which is still subject to approval by the Central Bank of Nigeria (CBN), is in sync with FirstBank's strong corporate governance credentials and best practice, ensuring that there is balance of knowledge, judgment and experience at the highest decision making organ of the Bank. This corporate governance posture has won the Bank much respect and recognition both locally and internationally. Mrs. Sola Oworu was Honourable Commissioner for Commerce & Industry in Lagos State from 2011 to 2015 and before then Special Adviser to the then Governor of Lagos State, Mr. Babatunde Raji Fashola, SAN, on Commerce & Industry from 2007 to 2011. She spearheaded the development of a number of Greenfield projects, initiated schemes to improve the investment climate and led the drive to attract new individual investments to Lagos State. She is a fellow of the Institute of Chartered Accountants of Nigeria and had an enviable career in consulting and banking spanning over 20 years. She started her career at Coopers and Lybrand (now PricewaterhouseCoopers) and subsequently joined NAL Merchant Bank (now Sterling Bank Plc) and later Citibank Nigeria, where she rose through the ranks to the position of Vice President, with a strong bias for credit risk management and marketing. Alhaji Mahey Rafindadi Rasheed, OFR, was appointed to the board of FirstBank in 2009 as an Independent Non-Executive Director. He brought his in-depth expertise across industries on the implementation of the Bank's strategic objectives. He started his career at the New Nigeria Development Company, Kaduna and was a Principal Investment Executive before joining the Central Bank of Nigeria, as an Assistant Director. He rose to the position of a Departmental Director, and was subsequently appointed a Deputy Governor of the Central Bank. He was a major player in economic and financial policy formulation and implementation during his career at the Central Bank. Alhaji Rasheed, an Edward Mason Fellow of Harvard University has held several Federal Government appointments and sits on the boards of various institutions in the country. In addition, he is currently the Chairman of the Nigeria Sovereign Investment Authority, the nation's sovereign wealth fund. He was conferred with the national honour of Officer of the Federal Republic (OFR) in 2004. Mr. Adetokunbo Abiru joined the Board of FirstBank in 2013 as Executive Director, Corporate Banking. He brought his far reaching experience to bear on the Bank's board. Prior to joining the board, he was Group Head, Corporate Banking and also a pioneer Business Development Manager in 2006 at the inception of that business model by the Bank. In the same year, he won the prestigious FirstBank MD/CEO Merit Award as the Best Branch Manager of the Year. He has over 24 years of banking experience, and served as the Commissioner of Finance for Lagos State between 2011 and 2013. He is a Director of FBN Bank Sierra Leone, FBN Capital Limited and Airtel Networks Limited. Adetokunbo is a Fellow of the Institute of Chartered Accountant of Nigeria (FCA) and Honorary Senior Member, The Chartered Institute of Bankers of Nigeria (FCIB). He is also an alumnus of Harvard Business School and Lagos Business School. In his comment on the developments, the Bank's Group Managing Director/Chief Executive Officer, Dr. Adesola Adeduntan thanked Alhaji Mahey and Mr. Abiru for their invaluable contributions to the growth and development of FirstBank over the years and wished them the best in their future endeavours.